An overwhelming amount of scientific evidence has shown that the earth is getting hotter. As the planet warms, humans in some of the most extreme climates are struggling to adapt. In India, heat waves have become a public health crisis in recent years, responsible for thousands of deaths. About 25 percent of the country’s population lacks access to electricity. Many more lack air conditioning, a factor that researchers associate with death during a heat wave. In May 2016, for example, the city of Jaisalmer reached 52.4°C (126.3°F); nationwide, about 700 people died that month due to heat stress, according to the Indian Meteorological Department. Between 1960 and 2009, average temperatures in India rose by about 0.5°C (or 0.9° on the Fahrenheit scale). Forecasters say the heat will keep rising: By the end of this century, average temperatures in India are expected to climb between 2.5°C and 5.5°C over what they were in 1960. A new paper looks at the increasing rates of mortality. “Future climate warming could have a relatively drastic human toll in India and similarly in developing tropical and subtropical countries,” the authors write. An academic study worth reading: “Increasing Probability of Mortality During Indian Heat Waves,” in Science Advances, 2017. Study summary: Omid Mazdiyasni of the University of California, Irvine, and his colleagues compare temperature and heat-related mortality data in India going back to 1960. They define a heat wave as a “three or more consecutive days of temperatures above the 85th percentile” of the hottest monthly temperature in a specific location and a mass heat-related mortality as the related deaths of more than 100 people. Both have increased in frequency. Mazdiyasni and his colleagues also review literature showing how heat stress can exacerbate many life-threatening ailments, including heart disease and respiratory problems. They acknowledge that mass heat-related deaths do not hit every region equally. Some areas are more prone to poverty, where access to air conditioning and health care is worse. These areas are likely to have higher mortality rates during a heat wave. By 2009, India was 146 percent more likely to experience a heat-related mass mortality event than it was in 1960. The probability of such an event increases 78 percent when a heat wave increases from 6 to 8 days. Southern and western India saw 50 percent more heat waves during the years 1985 to 2009 than they had in the previous 25 years. 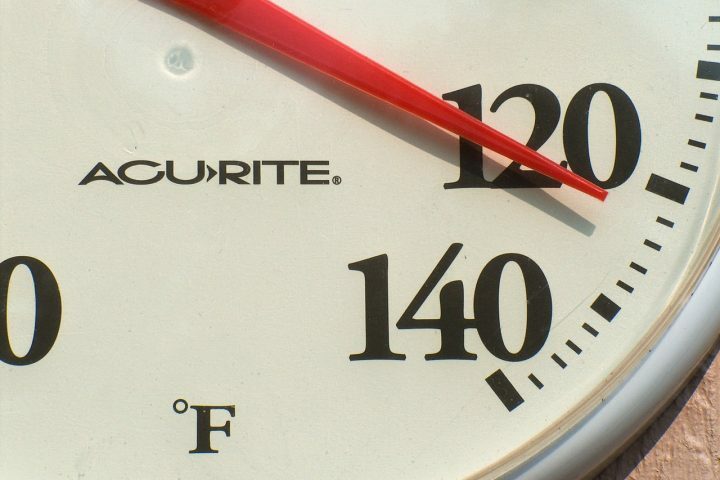 The rest of the country saw heat waves increase in frequency by about 25 percent. NASA explains “why a half-degree temperature rise is a big deal,” in this 2016 post. Data on the annual summer monsoons in South Asia are available dating back to 1871 from the Indian Institute of Tropical Meteorology. The Council on Foreign Relations examines how India has responded to President Trump’s decision to pull the U.S. out of the Paris climate accord. This 2015 paper in the Proceedings of the National Academy of Sciences charts the “substantial” increase in the number of droughts and heat waves that happen concurrently in the U.S. The risk of deadly heatwaves is growing in most countries, according to this 2017 review of decades of research in Nature Climate Change. Several other papers look at heat waves and climate change projections in India. Citation: Mazdiyasni, Omid; et al. “Increasing Probability of Mortality During Indian Heat Waves,” Science Advances, 2017. DOI: 10.1126/sciadv.1700066.